For me, no trip to Disney is complete without a Character Meet and Greet. 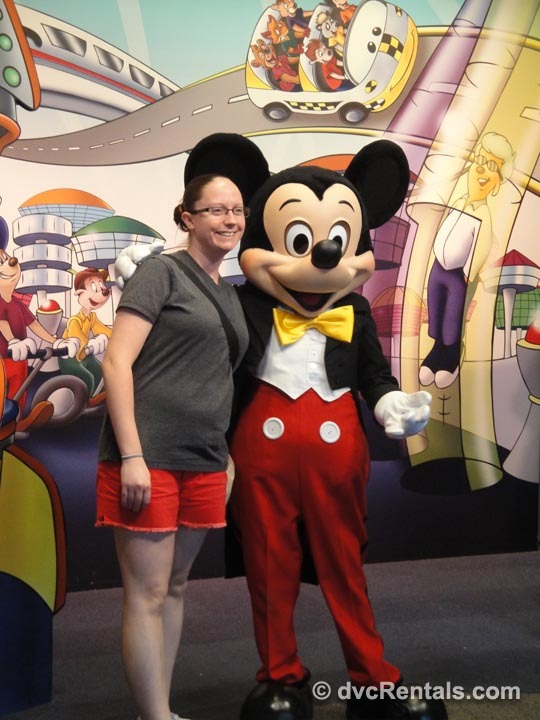 I love the chance to interact with a favorite Disney character and pose for a photo or two. 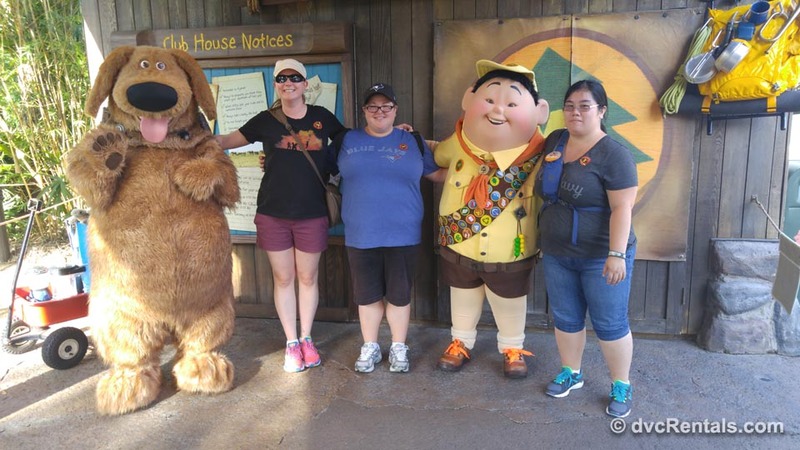 Disney has several ways to meet their characters and today I want to share my top choices for meeting my most loved Disney characters. 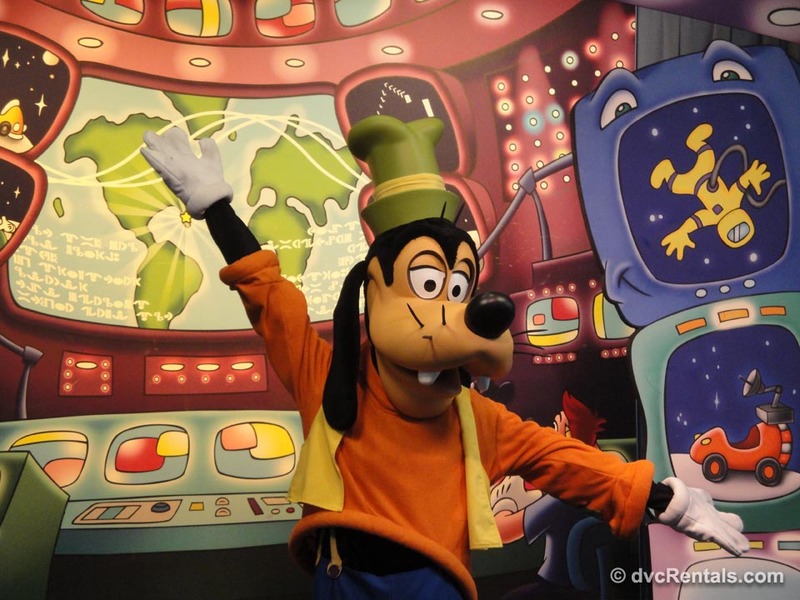 Located within each of the theme parks are numerous opportunities for character encounters. 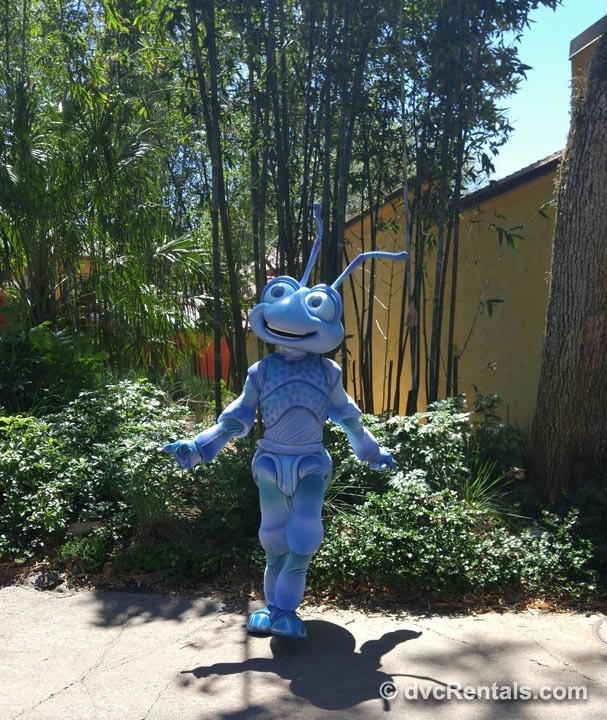 Some are outdoors, others indoors, but what is great is that the times the characters will be available can be seen on the My Disney Experience site to help guests plan their day. Additionally, some of the character spots offer a Fast Pass option, which helps reduce the time spent in line. 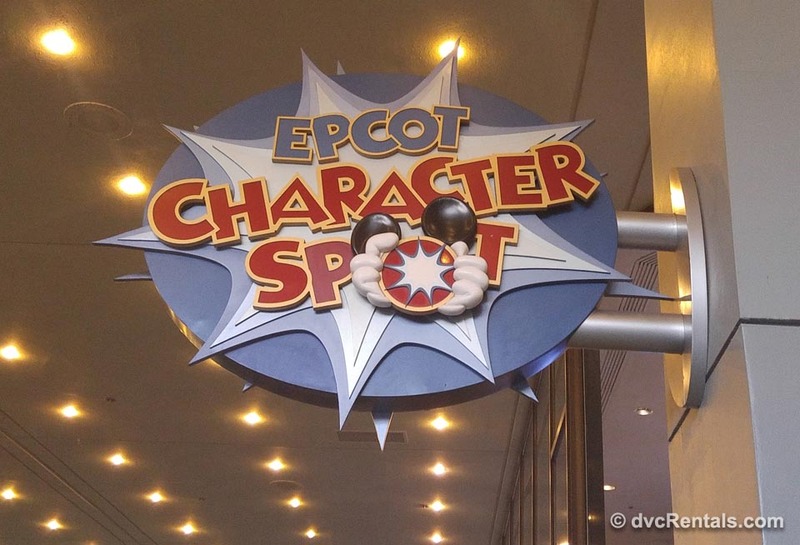 Epcot’s Character Spot for the traditional Disney crew (Mickey, Minnie and Pluto) is at the top of my list. This indoor location allows guests a chance to cool off while waiting in line. I also like this experience, because the characters are wearing their signature outfits, creating a timeless photo opportunity. 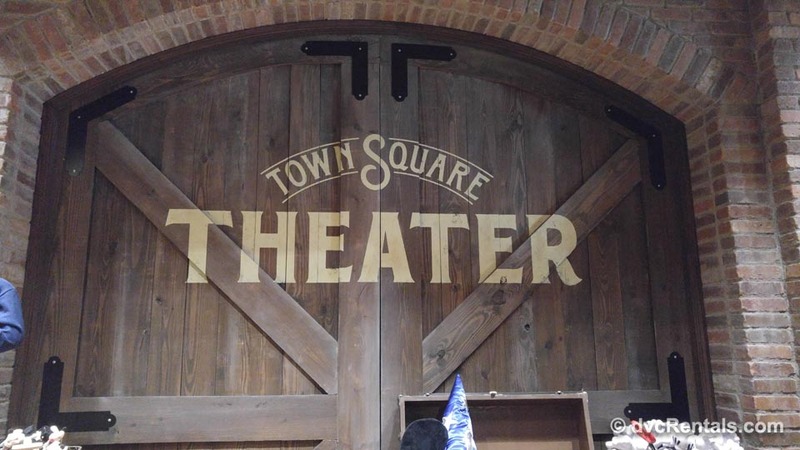 For guests visiting Magic Kingdom, I highly recommend visiting Mickey Mouse at Town Square Theater. 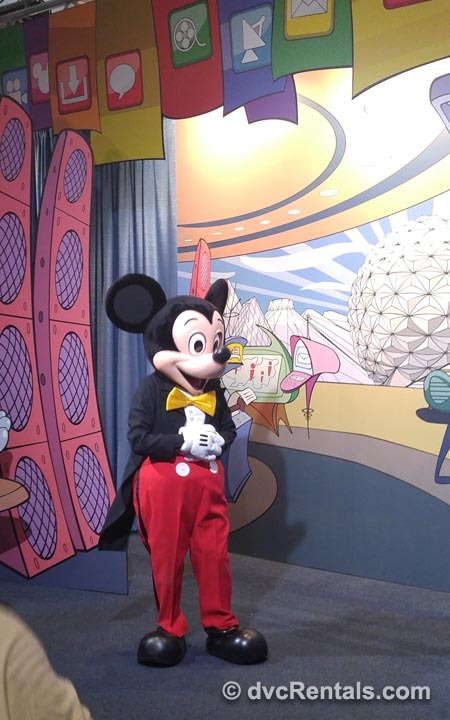 In this venue not only do guests get to meet Mickey, he also talks with you! This adds a whole new level of excitement to the experience. 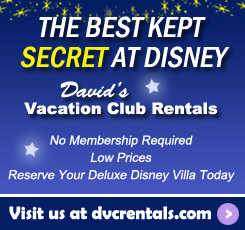 For a less crowded experience, there are opportunities to meet characters at the resorts. The Pirates and Pals Fireworks Voyage sails from the Contemporary Resort. Before heading out on a pirate boating adventure guests meet Captain Hook and Mr. Smee. After a fun filled voyage that includes watching Happily Ever After fireworks from the boat, there is still one more surprise character welcoming the guests back as they debark the ship. 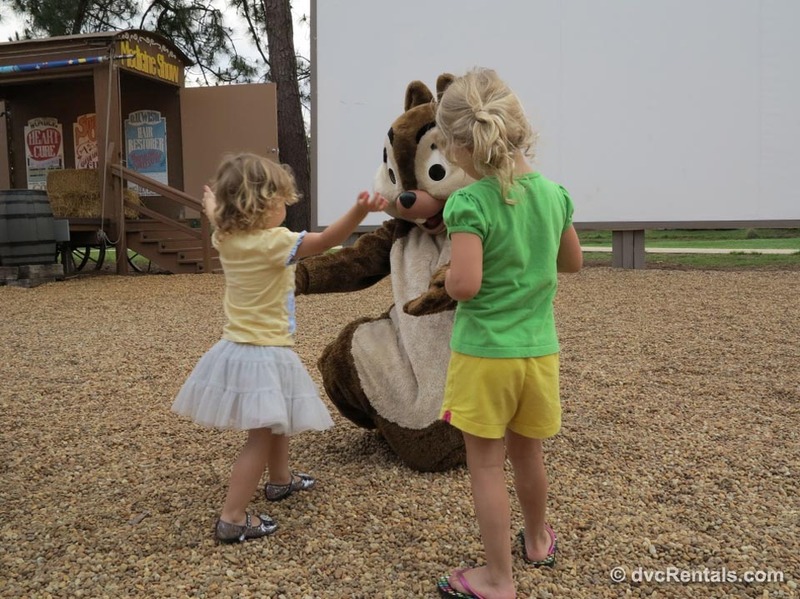 Another option is to pop over to Fort Wilderness for Chip ‘N Dale’s Campfire Sing-A-Long. This experience includes the chance to roast marshmallows and sing songs with these adorable chipmunks. 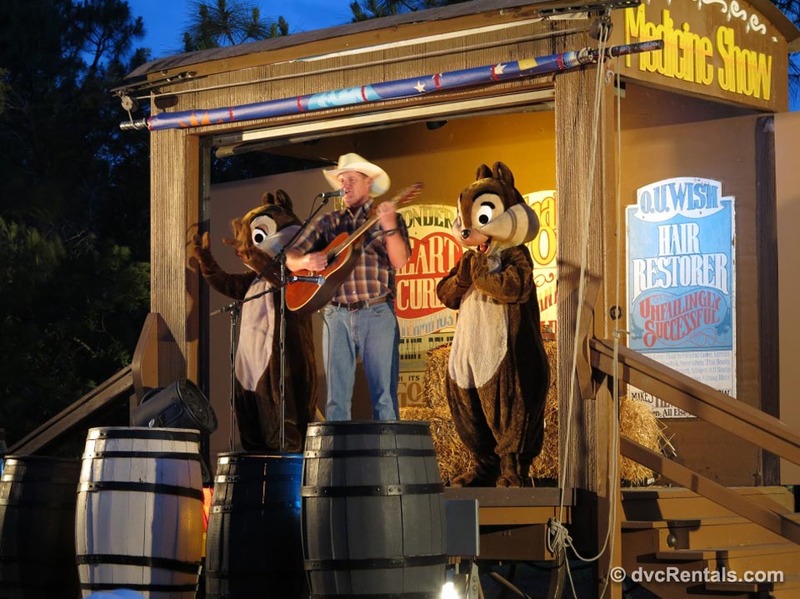 Chip ‘N Dale’s Campfire Sing-A-Long is my top pick for resort character experiences. It’s a unique way to spend an evening and has the added bonus of being budget friendly. By far my preferred way to meet characters is eating at a Character Dining restaurant. Breakfast. Lunch. Dinner. I love them all! Character dining experiences remove waiting in lines. 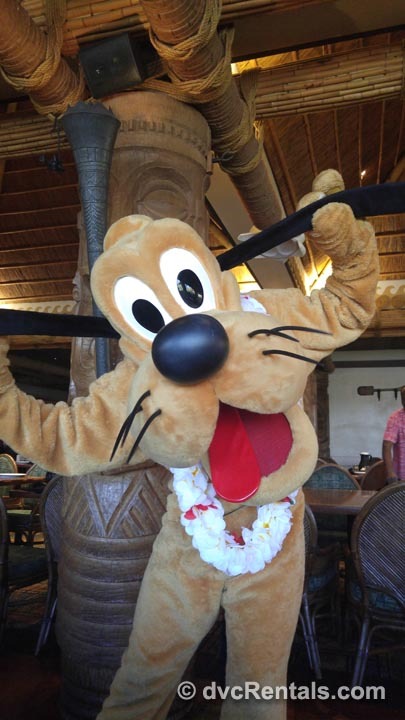 While guests enjoy their meals, characters will rotate around to their tables throughout the feast. While I’m eating I’ll watch as a character gets closer and my excitement grows. They’re almost here and I can’t wait to pop up out of my seat for an autograph and/or photo. It is so nice to see how the same character interacts with a table full of adults and then a table with small children all the while maintaining their unique character’s persona. Disney has done a suburb job at designing the restaurant rotation so that by the time the meal is over, each of the characters have stopped by for an interaction. On a rare occasion, when I’ve seen a character fall behind his/her rotation, Cast Members have always been patient in allowing guests to stay at the table. Thus, ensuring we got to meet the character before heading out. 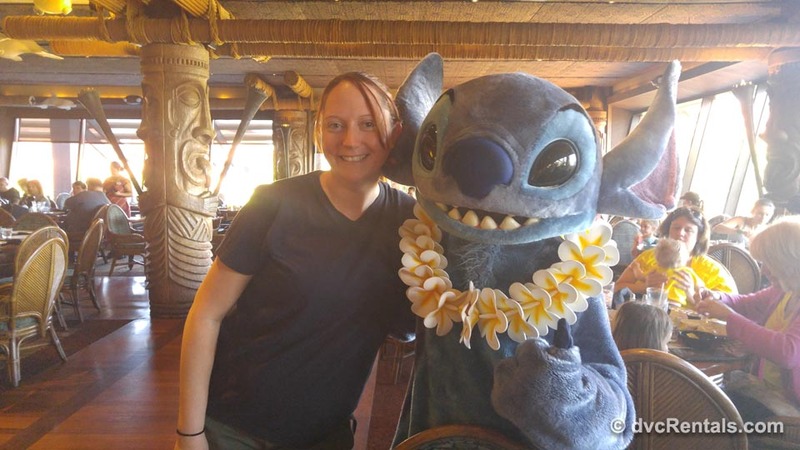 My top pick for a Character Dining Experience has to be breakfast at ‘Ohana. I absolutely LOVE this as a character experience. I like that the food is served to your table family style and I love that it’s a great mix of traditional and modern characters. Mickey, Pluto, Lilo and Stitch are some of my favorites; its as though this dining experience has been customized specifically for me. No matter how many times I’ve had breakfast there, I always end up having a smile from ear to ear when the characters come to visit. 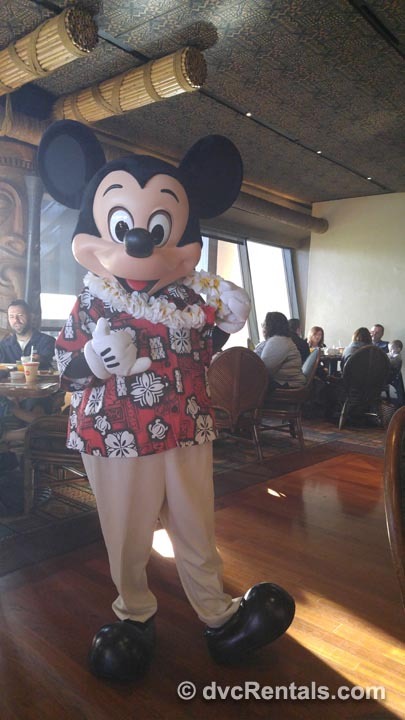 One thing to remember is that the characters are only available at ‘Ohana during breakfast. 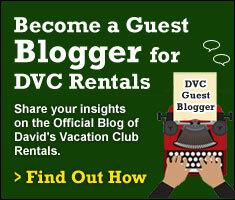 Guests who dine there for dinner, will not have a character experience. 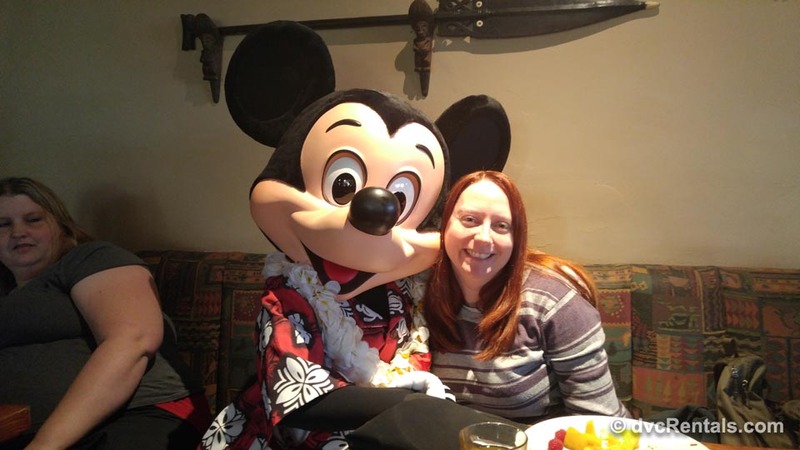 Some of my best Disney memories are from sharing a moment with a Disney character. 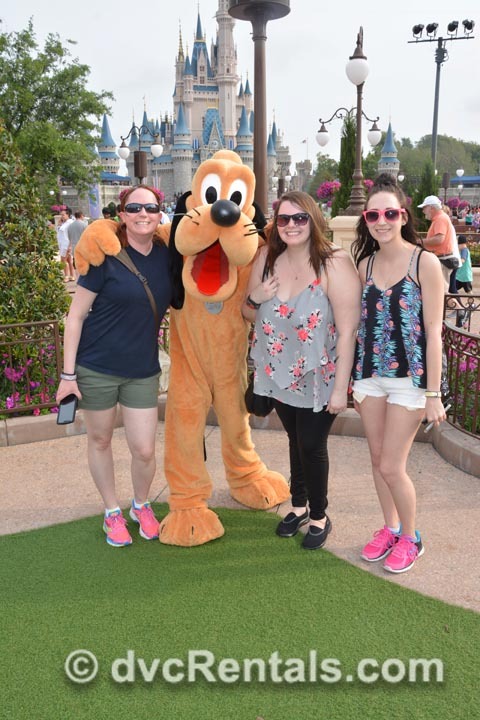 Be it in a park, at a resort or during a meal, the Character Meet and Greets offer a way to harness the magic of Disney and create a personalized memory that lives on in our hearts for years to come. 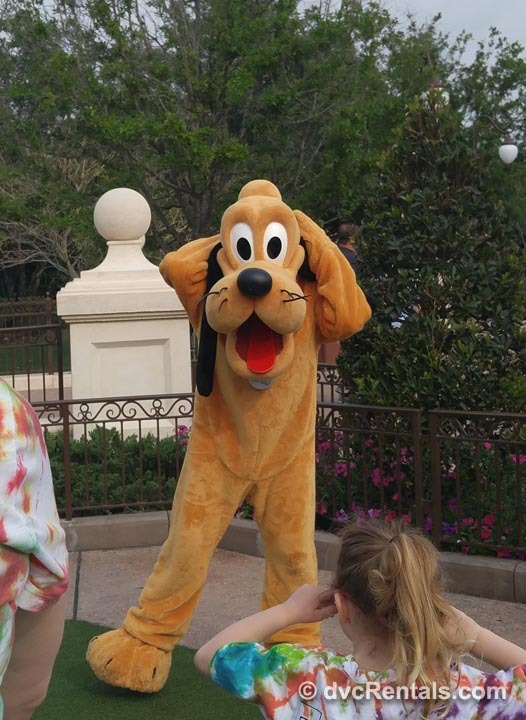 One thought on "Meeting Your Most Loved Disney Character"